Home » Health and Wellness » Understanding Fire Service Suicide, the Key to Prevention. Understanding Fire Service Suicide, the Key to Prevention. The article, PTSD, are we selling a lie, has quite a few great points and hits on so much that is true for the fire service. I could not agree more with the following quote: “We as firefighters hold greater respect and dignity in the public eye than nearly any profession on earth, and the reason is simple, we are there when you need us. 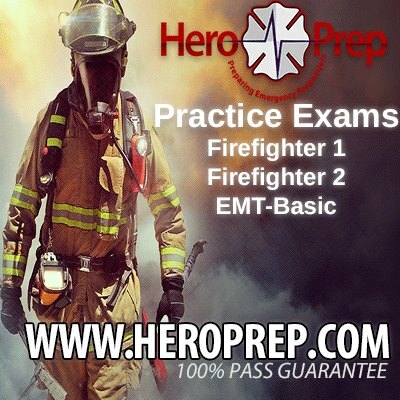 It is time for the fire service to move beyond education of PTSD and psychological wellness in the fire service, and to shift its focus towards preventative measures that begin at the recruitment process and build from a foundation of personnel who are prepared for the task that lies before them, who are prepared to show up and perform, fully aware that no one else is coming if we fail.” This is the heart of the problem for those in the fire service. We are called to help folks in crisis, and as a result, we feel that we must always be prepared to be the helpers. In as much, we fear that if we have any sort of weakness, we will be deemed unfit. However, where this article can harm more than benefit, and what causes me to cringe is the title and the following: “According to the Firefighter Behavioral Health Alliance (2016), PTSD and its underlying consequences have taken the lives of at least 131 firefighters and EMS workers in 2016 alone (Dill, 2016), and that’s only in the United States.” When we attribute every fire service suicide to PTSD and the underlying consequences of PTSD, we silence those who are suffering from other issues unrelated to PTSD and issues that fester if left untreated into a major crisis: Depression, alcoholism, divorce, family problems, health problems, etc. PTSD is a huge consequence of the job and is an injury that if left untreated can be devastating. We absolutely must take measures to ensure that people who have PTSD know they are having normal reactions to extraordinary situations. Treatment is available, and treatment helps! However, it is not the only cause of fire service suicide and to say that it can be damaging. Public servants are human, and it is normal to have highs and lows in life. However, if the lows are not cared for, they can snowball. Firefighters afraid to share their struggles tend to use unhealthy coping mechanisms such as alcohol. However, like CO & HCN, depression and alcoholism can be toxic twins. Alcoholism leads to poor choices and poor health which just makes everything worse and can be deadly. So attributing 100% of firefighter suicides to PTSD only will cause members who are struggling with other risk factors to suffer in silence and be ashamed to admit the issues they are facing. Like I said, the article hit the nail on the head when it recommended that we need to shift towards preventative measures. However, these are not always going to be built during the recruitment process. Of all the work I have done and research I have conducted, Dr. Thomas Joiner has come up with a model that explains suicide. His model has yet to be disproven and is 100% relatable to the fire service. First and Foremost, Stigma = Fear + Ignorance. The stigma behind suicide is directly related to the ignorance surrounding the causes. Fear is ok, but we must eliminate ignorance through education. For example, science has proven that 95% of those who complete suicide had a mental disorder such as depression or alcoholism. What this tells me is, if we stop fearing treatment and learn how to admit that: “HEY, IT’S OK TO NOT BE OK!” then we will learn to ask for help when we need it, rather than suffer in the silence of our misery and continue to turn to other mechanisms. So yes, PTSD is a huge problem, and members must learn that it is an injury, and treatment can help. We can not try to get through on our own. BUT!!! PTSD is not the only thing that causes us to take our lives. This article, without realizing so, is just another reason for somebody who so desperately needs help for their underlying problem that may or may not be work-related to suffer in silence because they fear their problem is not worthy of help. So what can we do? We can encourage members to reach out for help. We can follow the amazing framework of the Illinois Firefighter Peer Support Team, http://www.ilffps.org/. Matt Olson, Executive Director, states: “I am reading this, and I think a problem with the PTSD awareness movement is it forgets that depression is a huge part of suicides. More importantly, if we look to PTSD as the “heroic” injury, it makes people with depression less likely to stand up and take care of themselves.” The ILFFPS team’s mission is to simply create a safe environment where folks can admit that they are not ok. Peer support is available 24/7 and as a result has the ability to lessen the loneliness factor of Dr. Joiner’s theory. When peer supporters recognize that an individual needs more than just peer support, the team has access to their trained clinical team who possess the power to eliminate the burdensome component. Feeling as though one’s death is worth more than their life is almost always a misperception that requires treatment. A study by the American Association of Suicidology found that 78% of people who attempted suicide, had significant regret. This means, these people simply needed help for their underlying problems and felt powerless. As stated by Chief Dan Degryse of the Chicago Fire Department, “Suicide is just one outcome for an individual that can manifest for some time before he or she reaches the decision to die by suicide.” Intervention is key to prevention and making it ok to say you’re not ok is the key to intervention. A seminal study was published in 1978 by Richard Seiden on 515 people who were restrained from jumping from the Golden Gate Bridge. Of those who received mental health treatment, 95% were still alive decades after the study or died of natural causes. Treatment works! Spreading the message that the fire service must create a safe environment to admit when one is not ok and allow members to continue to serve while receiving assistance for their underlying issues is critical to prevention. Matt Olson and the ILFFPS are doing it right by spreading the message that it’s ok to not be ok and therapy helps. Sometimes just talking to a peer is enough and sometimes you need a little more help, but it’s ok to not be ok! And it’s ok for the reason that you are not ok to be something outside of the job. Firefighters are human and susceptible to stress, depression, and anxiety just like every other human. “At any given time, around 5 percent of the U.S. population is experiencing major depressive disorder. The disorder involves sadness, insomnia, loss of energy, and the like, and it causes serious distress and affects people’s lives negatively. But in the majority of the cases, it does not involve psychosis, dementia, intoxication, or delirium” Joiner, 2009. There is no weakness in admitting you’re not ok, only strength. Dena is a Captain with the City of Raleigh Fire Department and Intermediate with Wake County EMS. Prior to becoming a firefighter, she served 5 years as a police officer in North Carolina. Dena is an avid cyclist and founding member of the Carolina Brotherhood. She also serves as a advocate for 555fitness. Dena is currently a Graduate Student at UNCP and her research focuses on firefighter suicide. 2 Comments on Understanding Fire Service Suicide, the Key to Prevention. Very good article. We tend to lean on PTSD as a catchall for our self inflicted losses. A key point I got out of this is the “loneliness factor.” Career firefighters lose s sense of family when they separate from service and move on. Being away from likeminded people is a critical factor if the victim does not fill in for the loss or compensate the emptiness. Some attempts are spontaneous. Triggered by impulse. Chronic fatigue can be a causal factor as well as chronic pain. I lost a few loved ones and I got a few loved ones back. Fortunately the survivors gained tremendous insight from their experiences. This article helped illuminate what they feel. Thank you so much for your feedback!! This subject hits home for me and hits home hard! I have dedicated myself to understanding the causes and learning how to prevent suicide. While not all suicides can be prevented, hope lies in the fact that their are mitigatable factors. We all have to understand that at any point in life, we may ne said a bit of help. You’re absolutely on point. Seperation from this career creates a huge risk factor.